KOHA Turkey & Kangaroo Pâté 5.5oz. Home / KOHA Turkey & Kangaroo Pâté 5.5oz. NO grain or potato NO wheat, corn or soy NO carrageenan or guar gum Feed as a complete and balanced protein-rich meal or as a tasty topper. 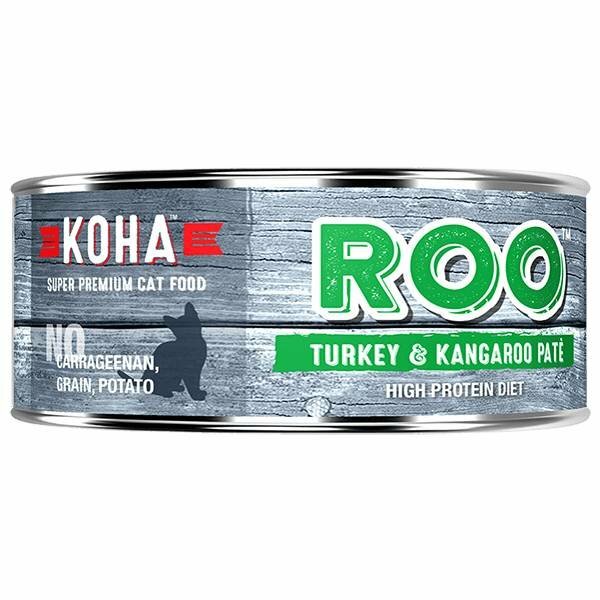 Their Roo Turkey +Kangaroo Pâté Cat Food contains premium Turkey from the USA and their bestselling Australian Kangaroo. All Roo Recipes include New Zealand green mussel to support joint health and cranberries for urinary tract health.